Hi everyone.. 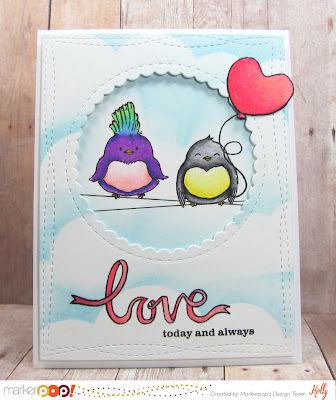 I'm up on the MarkerPop blog today with a fun card using one of the newest sets from Winnie & Walter called So Tweet! Head over for all the details on how I created this card and more peeks. Thanks for stopping in today.... Have a great weekend!! !